Cheap flights to Maldives: Male for only €496! Etihad Airways now offer cheap flights to Maldives. Multicity tickets Vienna – Male – Munich are available for €496 now! Travel dates are plentiful in May and June 2014. Travel time is perfect with great stopovers and total time between 13 and 16 hours. 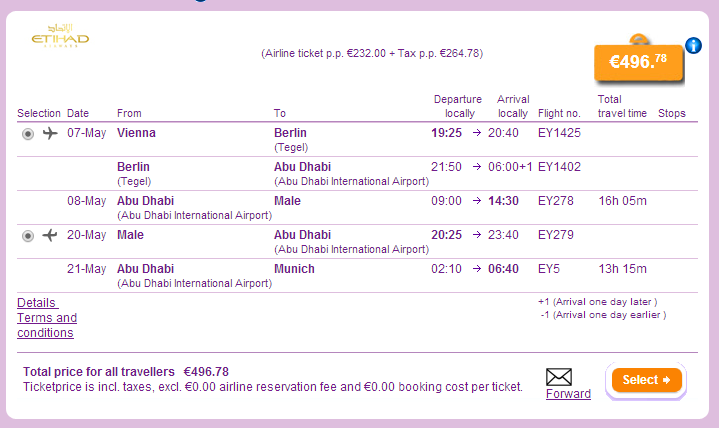 This price is not available on official website of Etihad, book on BudgetAir (click on Show extra search options). The prices of accommodation on Maldives are fairly high so it’s good idea to compare all accommodation options and compare all major booking sites online at once to find the best deals. 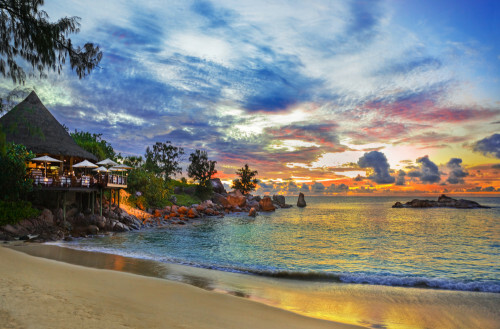 « Cheap flights to Thailand: Prague-Bangkok for €383!